Buying new tires can be a daunting task. Depending on the type of vehicle you drive, new tires can start at almost $200 per tire. When you’re on a budget, that price seems a little unrealistic. Like many money saving people, I generally buy my tires used. I’ve often prided myself on being able to find the best used tires; I know what to look for in a tread, and I can guess accurately how long the tires will last. 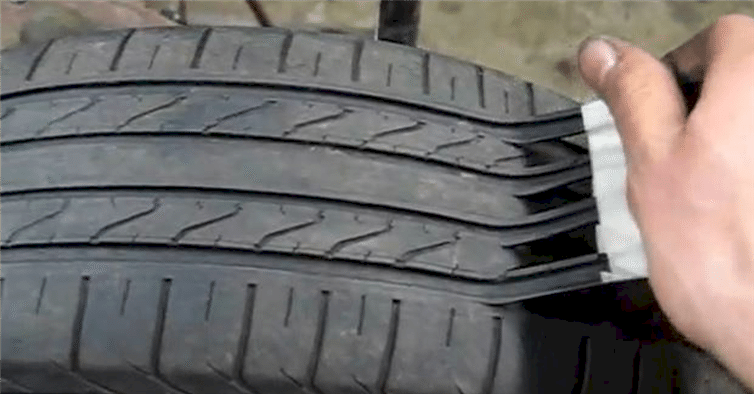 Then I saw this video, and watched in awe as an old tire was re-grooved to look like new. It was definitely a wake up call and a reminder to be careful when buying used tires!